Alvin Boey graduated in 2004 with an honours degree in mechanical engineering from the University of Monash, Australia. He was involved in the research, development and implementation of heavy machineries at a major manufacturing company in Malaysia before deciding to pursue a career in the intellectual property industry. Alvin joined the firm in 2006 and qualified as a registered patent agent, trade mark and industrial design agent in 2008. His work involves advising local and foreign clients on IP protection, conducting searches, and the drafting and prosecution of applications for patents and industrial designs. His patent drafting experience includes inventions in the fields of electromechanical devices, agricultural machinery and plant, water and wastewater treatment, and medical devices. His experience as a mechanical engineer has provided invaluable technical knowledge in assisting clients in their IP needs related specifically to mechanical inventions. He frequently speaks at seminars on the subject of industrial design practice with the aim of increasing awareness of this specific category of IP protection. He also conducts internal workshops to train patent staff on aspects of Malaysian patent practice. 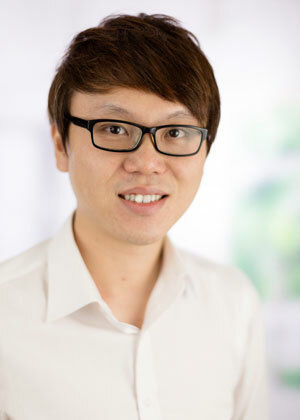 In addition to his responsibilities in the Patent Department, Alvin serves as a Business Development Strategist at Henry Goh. His role includes planning and executing the firm’s business plan in helping the firm to fulfill its vision for cooperative growth in the global arena. Alvin is a member of the Asian Patent Attorneys Association (APAA) and the International Trademark Association (INTA).